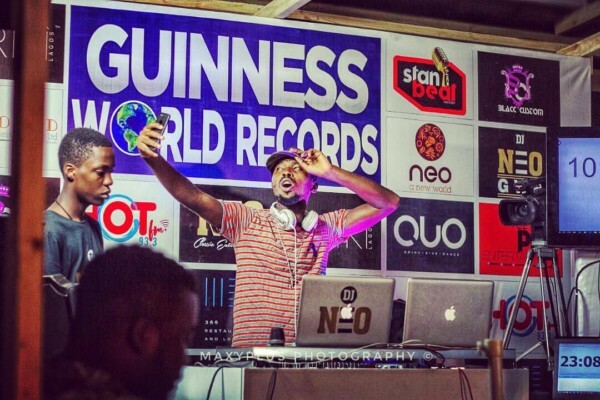 Nigerian disc jockey DJ Neo has completed his attempt to break and set a new Guinness World Record for Longest Marathon Club DJing. The DJ on June 17 set out to break the world record set for 200 hours by setting a new one of 336 hours and he has finally completed his attempt, DJing for 14 days nonstop. So many people gave their support to the DJ including entertainment personalities Mayorkun, DJ Obi and DJ Cuppy. Denola Grey also popped up to show his support, as did DJ Caise and the Executive Chairman of the Federal Inland Revenue Service (FIRS), Babatunde Fowler.